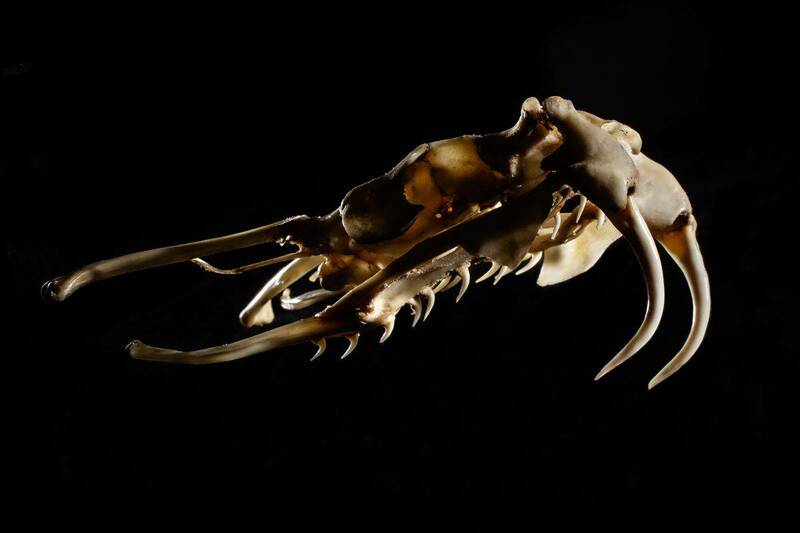 A viper’s fangs are so deadly because of the angle of the tip, according to new research. It is the distinctive shape that delivers the massive dose of venom – rather than the staggering size, say scientists. Measuring up to two inches, they are the longest fangs of any snake – and among the most lethal. 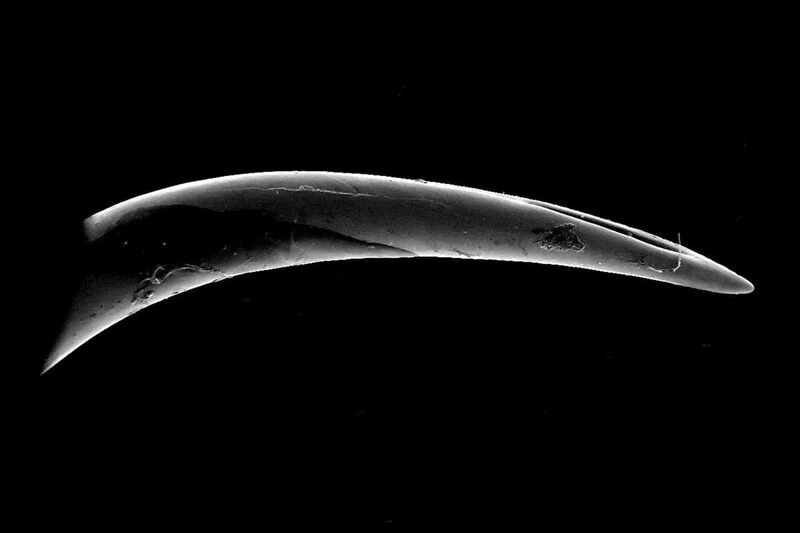 Now scientists have discovered the physical characteristics that make them so sharp they can puncture skin with the efficiency of a hypodermic needle. Yellow poison produced in glands behind the snake’s eyes is pumped down a duct to the fangs – and then administered to its victim, sometimes with fatal consequences. Dr Stephanie Crofts, of the University of Illinois in the US, said: “The narrowness of the tip angle is what is really important. Many attacks involve vipers. These include rattlesnakes, cottonmouths, copperheads, the Gaboon viper, green vipers, horned vipers and adders – the only snake found in Britain. From blindness to amputations, hundreds of thousands of people are left with permanent disability. The WHO describes such cases as among the most neglected tropical diseases. Vipers grow up to eleven feet long and can weigh nearly 50lbs. Dr Croft’s team used a scanning technique called electron micrography on 28 fangs from a variety of species. These included specimens from the pit viper, the Gaboon viper and the rattlesnake leant by the Field Museum of Chicago. Studies by the same team have previously shown how biological structures such as cactus spines and mantis shrimp appendages puncture living tissue. It is the first analysis of its kind on viper fangs. Dr Crofts, whose findings were published in the Royal Society journal Biology Letters, said: “Like most venomous snakes, vipers have fangs that function primarily as hypodermic needles. Co author Professor Philip Anderson, who is based in the same lab, said viper fangs are smooth and efficient. In particular, the researchers wanted to know which characteristics of the fangs made them good at puncturing. For each fang, they measured the angle of the tip – in other words, was it wide or narrow – along with how rounded it was, and its surface area. They mounted it to a machine that can apply and measure the force required to puncture something – in this case, cubes of ballistics gel of uniform size and density. Mechanical engineers also manufactured a series of metal punches with varying tip angles, degrees of bluntness and surface areas. This enabled the team to also test those, using the same methods. The experiments revealed that the angle of a fang’s tip contributed the most to sharpness. Even a narrow fang with a rounded tip tended to perform better than a wider one that was intact – not rounded or dulled – at its end. Prof Anderson added: “This study tells us what aspect of shape to measure when we want to measure sharpness. Vipers are found all over the world. They live in mountains, rainforests, fields and deserts. All are venomous and have long, hinged fangs. The most dangerous are in the tropics, especially South America and Africa. Those in colder, northern climates, such as the black or European adder, have more moderate venom. They range widely in size, but are generally stocky with short tails. The longest is the South American Bushmaster which grows to more than 11 feet. They are known for their extreme fangs which are long, hollow, hinged and rotatable. These fangs connect to venom glands located behind the eyes at the back upper part of the jaw. Venom travels down through the follow teeth to be injected into prey as the viper bites. Their mouths can open nearly 180 degrees so the ability to rotate their fangs within that space is an advantage. When not in use, the fangs fold up and lie against the roof of the snake’s mouth. This allows their fangs to grow so long. Generally, vipers are nocturnal. They often appear sluggish compared to other snakes. This is because many rely on their camouflage for protection rather than their ability to move quickly. They are more inclined to blend in with the surrounding brush, rocks or ground cover when being approached by a predator than to slither away. Nevertheless, vipers have a speedy strike. For example, Africa’s puff adder can strike at a speed of a quarter of a second. Prey includes small mammals, birds, lizards and eggs. When their prey is dead, they swallow it whole.